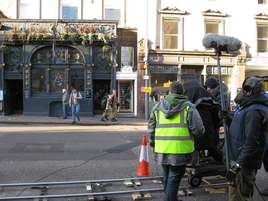 "We loved the Scottish crew"
The Edinburgh city region is home to a quarter of Scotland's production personnel. 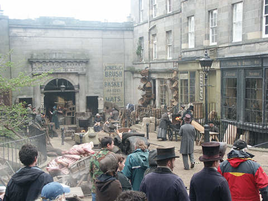 The production guide is a free database of Crew and companies (Facilities and production) based in Edinburgh, East Lothian and the Scottish Borders. Use the navigation above to browse, or if you know who you're looking for, use the search function. If you are based in the Edinburgh city region and would like to add or update your details, please use the add/amend form. Choose what you would like to find from the navigation above, and then narrow your search down using either the categories in the left hand menu or the alphabet search if you know the name of the person / company. Create your own production lists by clicking on the cross (+) next to individual entries, or add a whole section with a click of the cross, then export as a CSV file from My Production Guide.